Putin and Abe publicly switched to a first-name basis and seem to have a clue on how to sign a peace treaty. At the Eastern Economic Forum (EEF) in Vladivostok, Vladimir Putin and Shinzo Abe made it clear that Russia and Japan would eventually sign a World War II peace treaty. They, however, urged businesses to move ahead with cooperation, even as the peace talks continue. Japanese Prime Minister Shinzo Abe’s personal and heartfelt speech on Sept. 2 at the Eastern Economic Forum (EEF) was unexpected, to say the least, and different from what the Russian side was generally used to hearing. Abe quoted from Anton Chekhov, and cited incidents from Russian history and present-day life. Speaking of Vladivostok, he insisted that the best view of the city is from the sea. He mentioned Russian wrestler Vasily Oshchepkov, who used to live in Vladivostok and who is famous in Japan, and another native of the city, Oscar-winning actor Yul Brynner. He continued on an enthusiastic note. “I would like to make a new proposal. Let’s meet once a year, here in Vladivostok, and check how these eight points are being developed. […] Let’s think of what our relations will look like in 20-30 years’ time,” the Japanese Prime Minister said. Abe then switched to the second person singular pronoun – which both in Russian and Japanese implies communication on more familiar terms - and addressed Putin by his first name, Vladimir. “We are standing here, each has his own position on history behind him. As the leader of Japan, I am convinced that the Japanese position is right. Just as you, as the leader of Russia, are convinced that the Russian position is right. However, if we continue in the same vein, this debate may last decades. And if things are left as they are, neither you nor I will be able to provide better opportunities for future generations,” Abe said. “The crystal ball is our national interests,” Putin replied, implying that Russian and Japanese national interests would determine the future. 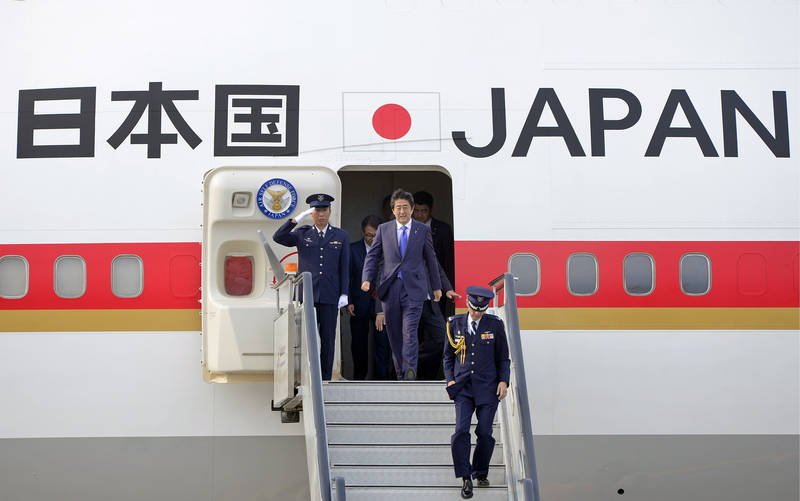 The Japanese Prime Minister’s economic cooperation plan focuses on the construction of liquefied natural gas plants, ports, airports, hospitals and other infrastructure. It also calls for cooperation between small and medium size companies, cooperation in oil and gas, nuclear energy, high technology, urban planning, and humanitarian exchanges. “I have friendly and trusting relations with Shinzo. We should resolve this problem, which we did not create. […] We need a formula that would enable both sides to feel they have not lost out in any way,” Putin continued, adding that history does not have many examples of such an approach but that he was hopeful of success. “We are ready for decisive steps but these steps should be thoroughly prepared. For the time being, we should make sure that we don’t waste opportunities that are already available,” Putin said, thus urging the business community to not put off cooperation. “We don’t need just investment. We need projects that would enable us to jointly enter the Asia-Pacific market,” Alexander Repik, Chairman of the Business Russia association said at the Russian-Japanese dialogue session a day earlier. He added that a dedicated working group had been set up last year specifically to support Japanese investment and provide assistance in resolving business-related problems. “It is an office for protecting the rights of Japanese businesses. On the Japanese side, it is headed by the Japanese ambassador. […] We are ready to render any support to projects that are related to exports from Russia,” Repik said. Meguro said Mitsui’s main investment in Russia is in oil and gas projects in Sakhalin. “They bring profit for the company and ensure Japan’s energy security,” he said, adding that his company was prepared to invest another $1 billion in Sakhalin projects. “Abe’s eight points were the main basis for a new economic policy for Japanese business,” Marubeni Corporation Chairman Teruo Asada said. He added that despite a drop in trade, Japanese investment in Russia in 2015 rose by $500 million. This was the first annual rise in three years, Asada said.